Get Past Your Fears Of Networking And Find The Right Job! Banish your fears and turn networking into a powerful force in successfully helping you make your career change after age 50. We all know the awesome power of networking in sourcing and finding jobs. It’s the gateway to the hidden job market and gives you the opportunity to possibly design your dream career. However, in properly managing your career change after age 50, what if you feel uncomfortable networking? Or even worse, you’re terrified about the prospect of involving people you do not know in your job hunt. It is little solace that others have the same problem opening up to strangers. It appears you have two choices: reject networking but understand you are at a considerable disadvantage in your job hunt and it will take longer to find a job. Further, you may not get a job that matches up to your career objectives. A better choice is you can plan and work to overcome your fears. Let’s carefully examine your second more profitable choice. In any change in direction, start with small steps and as you grow more comfortable build on your prior successes. With everyone interconnected today, the easy way out is to use the internet or cell phone to network. It has its place, but aside from the electronic gadgets, live personal contacts with others is the best way to build connections, network, and get the most from long-term relationships. 1. Admit your networking fears: Accept your fears for what they are. It’s not because you’re a bad person or some horrible thing will happen to you if you reach out to strangers. Tell yourself that it’s normal to fear something just as another emotion may feel great. Don’t judge yourself or pretend that the fear doesn’t exist. Just as you don’t give yourself a hard time for feeling great why beat yourself up for having fears over this activity? 2. Discover what is causing your networking problem: Ask yourself what specifically is causing the problem? Drill down to break your concerns down into small bit sized pieces. If for example, you have a problem introducing yourself develop a role-playing model and practice doing it right until it’s no longer a problem. Do this with each piece of the problem until you reach an acceptable level of comfort. With experience, your networking will become easier. 3. Lose your fears: You now have a choice to make. Either the fears control you or you banish them so they no longer have control over you. If necessary get help, get the problem out into the open. What is the worse thing that can happen? The light of day will go a long way in making the networking fears a distant memory. 4. Build your networking career plan: Develop a networking plan to assist you in your job hunting after age 50. In any career change after age 50 you are stepping into a career unknown. So it’s vital to build a written career change networking plan. Take it one small step at a time. Need help in telephone inquiries? Practice until it becomes more natural. Reluctant to meet new people? Work up to it slowly and practice how you will be learning something new from each contact. Doing an informational interview? Write out possible questions and again practice your approach. Your networking career change plan will have two main components: (1) Each skill or exercise, and (2) How often-daily, weekly you will engage in each networking activity. Keep good records of your progress. 5. Celebrate each step in your networking career plan: As you build your network of others helping you in your career change celebrate each step in your plan. If you plan on having lunch twice a week building up relationships with your network and you accomplish that planned task-do something special on Saturday. If you plan on finding 12 people working in you planned career and asking for a 10-15 minute informational interview, when completed; celebrate. When you find five former classmates and co-workers and ask for their help; celebrate. If you go to a networking event and your plan is to find five people with similar interests and you call each of them; celebrate. If your plan is to work on a committee associated with your planned career and you make it happen; celebrate. The secret is to build on each success. Contact those you know and work outward. Whenever possible help others and always ask for referrals. With continued research and experience in the best practices in networking helping you in your career change beyond age 50, each step will become easier. Others will ask you for networking advice and isn’t that what networking is all about; helping others. Moreover, don’t forget to continue your networking efforts when you find your dream career, your experience in career change and networking will be a terrific benefit to others. For more about how career change planning and working your career plan with networking can help you find your dream job in a career that you’ll love. Discover up to date ideas and tips at http://careersafter50.com. 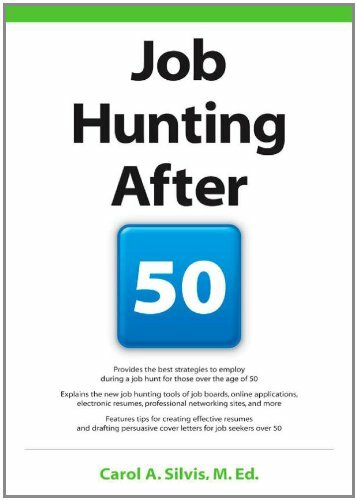 You’ll find informative articles on career planning and job hunting along with stories of individuals just like you who successfully made after 50 career changes. ← Hybrid Resumes – When Are They a Good Choice?